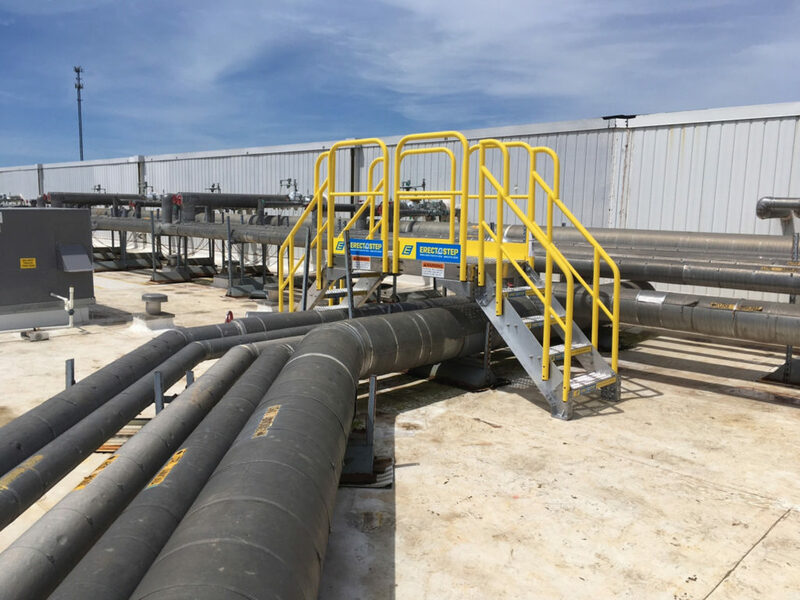 This is an installation of Erectastep 4 step industrial metal crossover stairs to provide OSHA compliant access over multiple pipelines on a rooftop. SafeRack’s attention to detail from weld quality, to stickers, to paint are what I like best. Product was delivered slightly slow, I believe you were doing maintenance in the factory. SafeRack’s attention to detail from weld quality, to stickers, to paint are what I like best.